Monthly Business After Hours - 3rd Wednesday from 5:30-7:30 PM. Locations vary. Monthly Lunch N' Leads - 1st Thursday from 12-1 PM at the SVCC Office. Monthly Chamber member Night at LaBelle Winery, last Wednesday of each month, 5:30-7 pm. Chamber Member Night for a Silver Knights game at historic Holman Stadium, Nashua. Each June the Chamber holds its Annual Dinner. During the dinner the Chamber presents the Business Awards that honor area businesses and business people for their achievements. Best of Souhegan Awards Dinner- Each year, the ‘Best of Souhegan Valley Region Awards’ recognize local businesses and services that go above and beyond in the Souhegan Valley and winners are chosen by the community, Chamber members, and the readers of the Cabinet Press and their publications. Obtain new customers by displaying your literature in our lobby. This is a great opportunity to get your information out to other Chamber members, as well as people that call and ask for information or walk-ins. At several of our Chamber events there is an opportunity to be a sponsor of the event providing you visibility and community exposure before and at the event. Another chance to get your business information out into the community. Include one piece of paper or brochure, and one other item into the welcome bag. These bags are given to people during the closing at the purchase of a house or a condominium. Also, information will be available at the town offices on how a person can get a welcome bag if they did not receive one when they moved into the area. 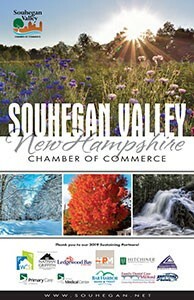 Welcome to The Souhegan Valley Magazine - annual membership directory printed in December. Inserted into the Milford Cabinet, Bedford, Merrimack and Hollis-Brookline Journals, plus distributed year round by the Chamber. Free listing of all members. As a member of the Chamber you receive two free listings in our membership directory, an alphabetical listing and a category listing. Once you invest in the Chamber your business information and web site link are included on the Chamber’s web site. You also have the opportunity to purchase an ad or coupon to advertise your business or services. You may update your business information and description online, and also provide links to Facebook, Twitter, and LinkedIn. If your business has a special event let the Chamber know, we will see that a press release is done and sent to the local newspapers. We also come to the event and take pictures. Also, if someone in your business is promoted, you hire a new person or something great happens we will help to publicize the information. 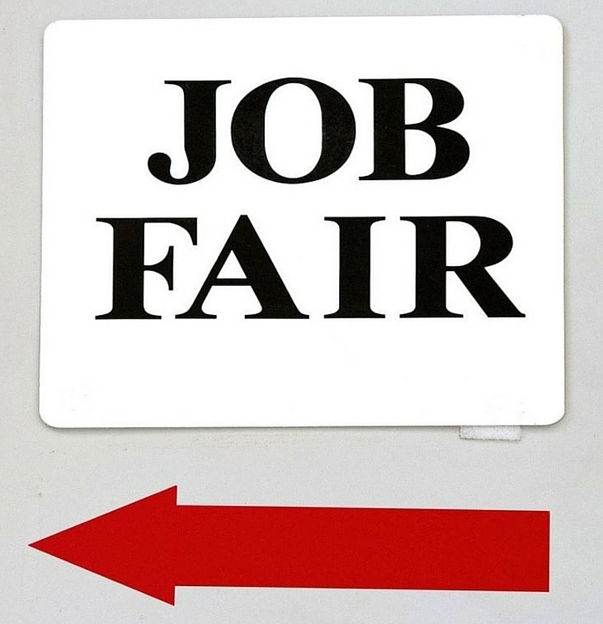 Receive referrals from Chamber staff and Chamber members. 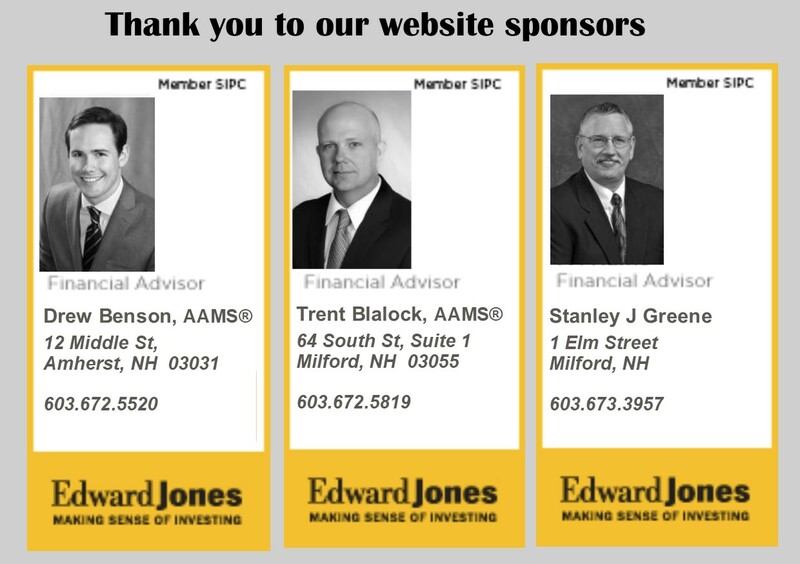 Our newsletters updates our members on Chamber happenings and news about our members. Included is also helpful business information and tips. In addition the newsletter offers the opportunity for advertising. The Chamber sends out a weekly e-newsletter with upcoming events and Member Happenings. 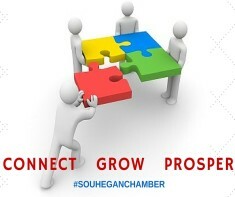 Want to do a targeted mailing to other Chamber members? Ask for a list of all of our members. The Chamber hosts monthly training and development seminars with guest speakers that offer information to help you with your business.